Our mission is to cultivate community development and economic capacity by empowering families through education, health, and income generating activities. By partnering with vulnerable communities in Ethiopia, we strive to equip vulnerable people to live stable and sustainable lives. We work with the local church to respond to the expressed needs of the community because the church is a vital structure and a critical part of community life. Through the organization of the local church, the community is best able to mobilize volunteers for participation. By building local leadership, the church can truly lead development efforts in the community. Through their faithful care of the poorest among them, our local church partners are demonstrating God’s power to transform lives and families, one day at a time. Three Roots is building on existing relationships with the local community in Ethiopia. The Leadership Team has nearly ten years of experience working in the same communities with many of the same people. We began Three Roots International to support and expand the work of the local church, while giving more people the opportunity to participate. by our belief in the value of every person. and seek to communicate and act with efficiency. Susan grew up in Great Falls, VA, and first traveled to Ethiopia in 2007. Since 2007, Susan has returned to Ethiopia every year and has built strong partnerships with the local church, which has facilitated the foundational work of Three Roots. She has lived in Africa, led multiple short-team teams to Africa, Europe, and Asia, and holds a Master's Degree in International Education and Development, focusing on marginalized communities. Having worked in the education and nonprofit sectors for fourteen years, at World Vision, World Relief and International Justice Mission, Susan now leads the Three Roots team by developing organizational vision and operational strategy, and works collaboratively with the Three Roots Country Director on programmatic implementation in the field. Susan enjoys traveling and photographing the people and places she sees along the way. ​"I'm drawn to the vibrancy and resilience that I see in Ethiopia. The beauty of the landscape is compelling, but the humble friendship, faith, and hospitality of the people has taught me so much, and continually draws me back." Demissie was born in Central Ethiopia, a few hours south of the country's capital. He holds a Bachelor's degree in Biblical Theology, a Master's degree in Theology, and also a MBA from St. Mary's University. He has held several senior leadership positions with the Kale Heywet Church (KHC), the largest Protestant church in Ethiopia. Several of those positions included serving as a missionary in India for three years, serving for six years as a National Board member for the KHC, and most recently Demissie was the General Secretary for the Central Zone, responsible for the oversight of every KHC church within the Central Zone of Ethiopia. He is now the Country Director for Three Roots, responsible for the strategic implementation of programs, as well as the oversight of operations in Ethiopia. "I am strongly convinced that Three Roots International is God’s provision to serve the poorest people here in Ethiopia. God always begins His plan with small and humble beginnings and then He expands those plans beyond what we could ever envision." While Lindsey had never traveled on international missions, she took a leap of faith by traveling on her first international mission trip to Ethiopia in 2014. She grew up in Raleigh, NC, before moving to Northern Virginia in 2009, and has worked at a communications and marketing agency for the past six years. There, she advises clients on public relations and social media strategies, and her role at Three Roots is to inform and support a broad range of communications initiatives. Lindsey enjoys running, hiking, and exploring DC and nearby towns with her husband, Chris. "I was blown away by the generosity, hospitality, and genuine love shown by the people I met in Ethiopia. They serve as amazing examples of what it looks like to live a Christ-like life." Originally from the Boston area, Chris has lived and worked in Northern Virginia since 1970. With degrees in education and counseling, and after raising two wonderful daughters, she has been in private practice as a Licensed Professional Counselor for the past twenty-five years. Her other passion is for Ethiopia, where she has traveled with Three Roots twice in the past two years. Chris facilitates partnerships with churches, schools and other organizations, providing opportunities for people to engage in the work of Three Roots through prayer, volunteer participation, and financial support. When she’s not talking about Ethiopia, Chris likes to spend time with her dogs on a porch near Chesapeake Bay. Courtney grew up in Herndon, VA, but she is no stranger to East Africa. Prior to her first trip to Ethiopia in August 2012, Courtney led trips from her church in North Carolina to Kenya four times. She has returned several times since, not liking to be away from Africa for too long! As the Child Sponsorship Program Manager for Three Roots, she manages sponsorship data, communication and records, which includes being in contact with sponsors and keeping medical, educational, home records for the children enrolled in our program. Courtney loves to play guitar, chat over buna (coffee), and looks for any and every excuse to go to the beach with her husband, Brad. 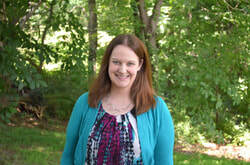 Abby is a Northern Virginia native and a critical care nurse with over eighteen years of experience. She has a Master’s degree as an Acute and Critical Care Clinical Nurse Specialist and currently works as Clinical Nurse Educator at a large, not-for-profit, acute-care teaching and research hospital. Abby first visited Ethiopia in 2008 on a team serving in a medical capacity. As the Communications Project Manager, Abby works on editorial and design projects for Three Roots. Although she keeps busy, she always finds time to spend with her adorable nieces! "What draws me to Ethiopia is the heart of the people; their kindness and internal beauty is so humbling and has been a powerful motivator in my own life. You can't help but be compelled to return and be a part of enriching their lives." Debbie had never planned on going to Ethiopia, but found that after her first trip in August 2012, she couldn't stop going. 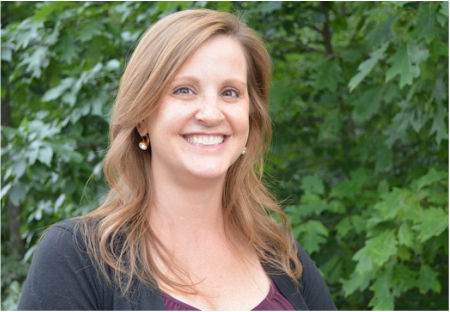 Before changing careers to teaching, Debbie worked in the nonprofit sector on community planning, grant writing, and outcome measure development and monitoring. 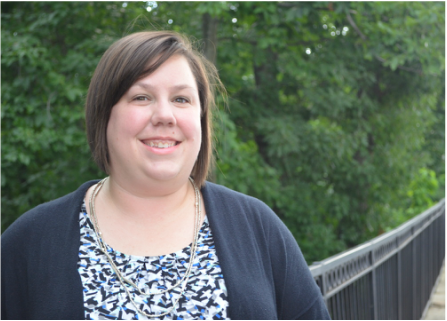 Combining her professional and personal experiences, she is focused on budget development for the organization, and helps to manage volunteer team development and growth. When she isn't in Ethiopia, you can find Debbie with her sister in the stands of RFK Stadium cheering on the DC United soccer team. "When I was in Ethiopia I just fell in love with the people and the ways that I saw God move through the communities and in my own life. I've just kept going back." Sarah has lived in several different places in America, growing up mostly in Alexandria, VA, but her first trip overseas was to Ethiopia in 2012. She uses her planning and organizational skills from her full-time job as a fifth grade teacher to help coordinate trips to Ethiopia from recruiting and training to logistics and planning. One of Sarah's favorite memories was from one of her recent trips to Ethiopia where she was able to pray with a group of Ethiopians about the need for clean water in their community. She uses that memory to remind her to stop and pray for others daily in America. "The first time I went to Ethiopia, I thought I was going there to share God's love with others so that their lives could change for the better. Little did I know that God would also change my own life for the better. I am blessed to be a part of this organization as we partner with communities in Ethiopia." Chandra is married with two children. Texas was home for 23 years prior to moving to Cary, NC for the last 6 years. She has her degree in nursing and spent most of her career caring for pediatric patients with cancer and blood disorders. Going on a mission trip was always a dream, but the timing never seemed to work out. Watching the work of her childhood friend, Abby Butts, through Three Roots drove her to jump into her first trip to Ethiopia in March 2018. Wow! There will be no turning back! Chandra spends most of her time caring for her family and foster children of Wake County. If she has time for herself, she enjoys reading, working out, playing with her dogs, and hanging out with friends. "My experience in Ethiopia was more than just the tasks at hand that were thoughtfully planned out. It was one of a special spiritual nature that only God could control. Joy and hope are in the smiles of the children and women in these villages! It was a beautiful time of service to God's people, through God's people. Three Roots International is making a difference in the lives of multiple generations, and I am so blessed to be a part of the journey!" Originally from Arlington, TX, Amber had no intentions of going to Ethiopia during her lifetime. She participated in her first short-term mission trip to Ethiopia in 2011 and returned the next year to lead a full team. Her full-time job as Director of Marketing for an outside company has prepared her for her role as Director of Communications and Development at Three Roots. Amber leads the overall Three Roots strategy in these areas and manages all internal and external communications. This includes overseeing email communication, website, social media, and direct mail. She also provides organizational developmental support as we seek additional partners to join our efforts. Amber enjoys traveling and has a passion for food. "Each time I return to Ethiopia, my commitment and passion for the people continues to grow as our relationships grow."